I've been dreaming of having a mantle for a while...especially around the holidays, when it's hard to imagine decor without a mantle involved. Unfortunately, our home doesn't have a fireplace, thus no mantle. 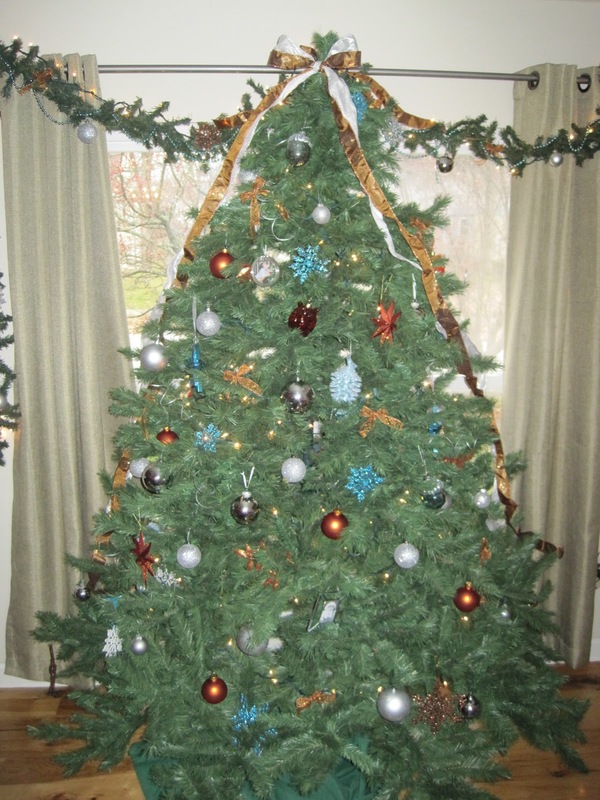 We're also tight on space, so the only realistic option is a floating mantle. We had a 3 foot scrap piece of 4x4 out in the garage and some fancy trim from a previous project, so Santa's helper got right to work (he'd kill me if he heard me call him that!). After finding the wall studs, my husband used three 6 inch heavy duty screws to attach the 4x4 to the wall. He used a countersink to make the screw heads lay flush with the wood (or so he tells me!). 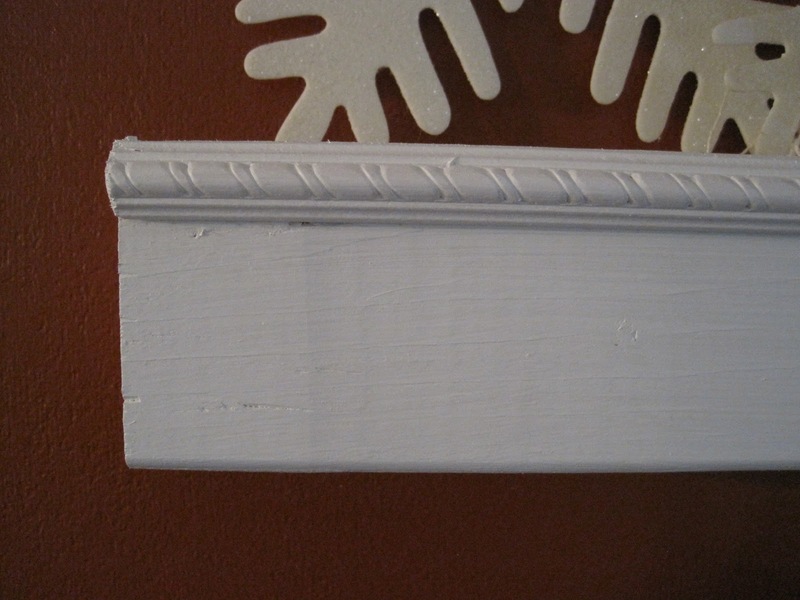 Then he attached the trim with finishing nails and painted the whole thing white. 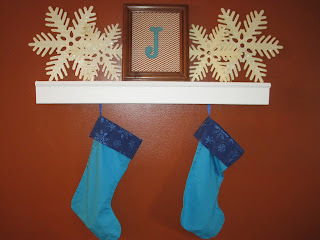 Our Christmas decorations are silver, aqua and burnt orange, so I wanted to keep the mantle decor within the same color scheme. 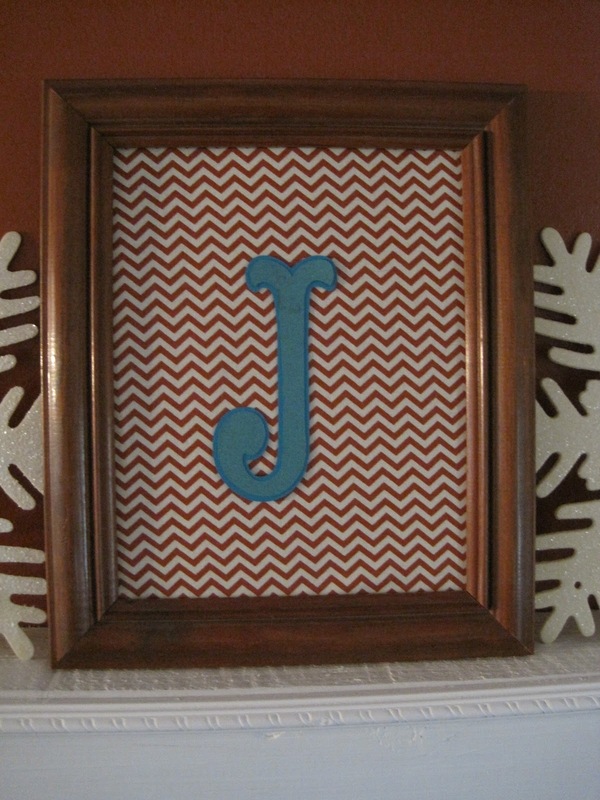 I frame a piece of orange chevron striped material with an aqua "J" in the middle. 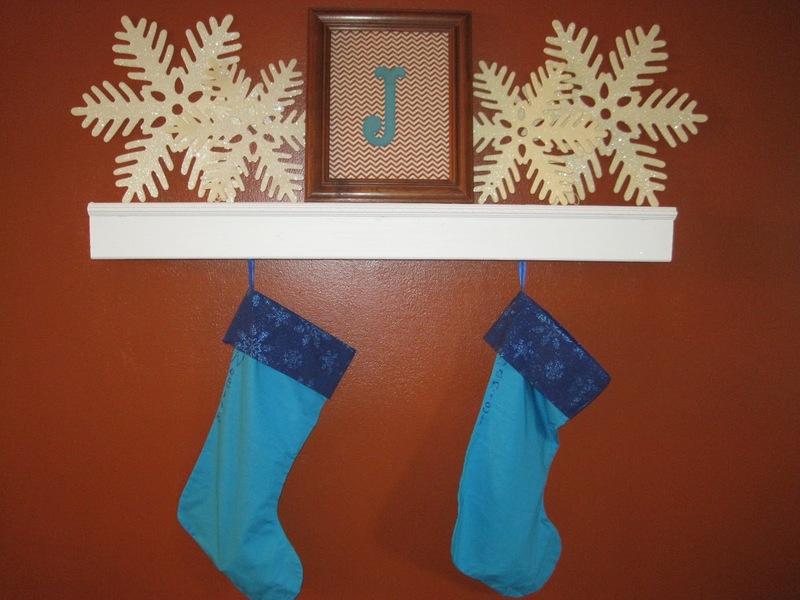 I lined that with some oversized snowflakes and hung the stockings. So cute! 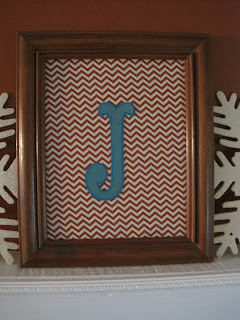 So excited to come up with new mantle decor each season!